This is one of those books that I had meant to read since years. Now that I have read it, just after reading Kleist, I must say, I couldn’t imagine another classic as far from Kleist as Mörike. 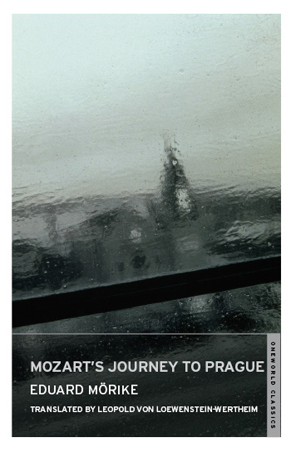 Mozart’s Journey to Prague is a truly lovely piece of writing. Sunny, cheerful but still profound, thoughtful and with a melancholic undertone. All in all one could say the sunniness is deceptive. It’s the year 1787 and Mozart and his wife Konstanze are on a journey to Prague for the opening of Don Giovanni. They are cheerful but not without worries. Money is a big issue in Mozart’s life. Money and his health. He never rests, never stops running from one invitation to the next, working till the early morning, hardly sleeping. His needs were various, above all his passion for all the pleasures of society were extraordinarily strong. Honoured and sought out as an incomparable talent by Vienna’s noblest families, he seldom or never declined invitations to dinners, parties and soirées. In addition he would entertain his own circle of friends with befitting hospitality. The Sunday musical evening, a long-established tradition in his house, or the informal luncheon at his well-furnished table with a few friends and acquaintances two or three times a week, were pleasures he refused to forgo. Sometimes, to his wife’s dismay, he would bring unannounced guests straight in off the streets, a very varied assortment of people, dilettanti, artistic colleagues, singers and poets. The idle parasite whose sole merit lay in an untiring vivacity, ready wit and the coarser sort of humour was made as welcome as the learned connoisseur or the virtuoso musician. They talk about a few of these things but they are enjoying themselves as well. Mozart steps out of the carriage in a forest and gets all enthusiastic about the trees, the beauty of nature of which he hardly sees anything in Vienna. A little later they stop at a village and Konstanze rests in a guest house while Mozart goes for a walk in someone’s garden. Lost in his thoughts he carelessly snaps an orange from a little tree and halves it with his knife. He immediately gets arrested by the gardener and brought in front of the noble man whose park he has entered. Lucky for him they recognize him and are delighted to have him there. The little tree is very dear to the daughter of the noble man. It has once been a gift from Mme de Sévigné herself. The little tree was about to die but thanks to a skillful gardener has recovered. His oranges were counted and the tree was meant as a gift for the daughters engagement. Mozart and his wife are invited to spend the day and the evening of the engagement with the family. He plays the piano, sings, introduces them to Don Giovanni. There is a lot of cheering, drinking and laughing but towards the end the daughter of the family feels a chill. She is convinced that Mozart is burning from an inner fire, that he consumes himself too fast and will not live much longer. The novella finishes with a sad poem by Mörike that ends the book on a melancholy note. Mörike wrote this novella as an homage to Mozart whose music he adored. He tried to capture the beauty and the cheerfulness of his music and the man himself but did not omit the fact that Mozart wasn’t able to refrain himself. He couldn’t live in a moderate way, was excessive in everything, burned the candle on both sides and did, as we all know, not live very long. Reading this novella felt at times like watching a painter paint a very colorful painting, drawing flowers and trees, a sunny blue sky but in the upper left corner of the painting we can see a dark cloud slowly starting to spread. Mozart was without any doubt a genius and there is always a mystery surrounding them. 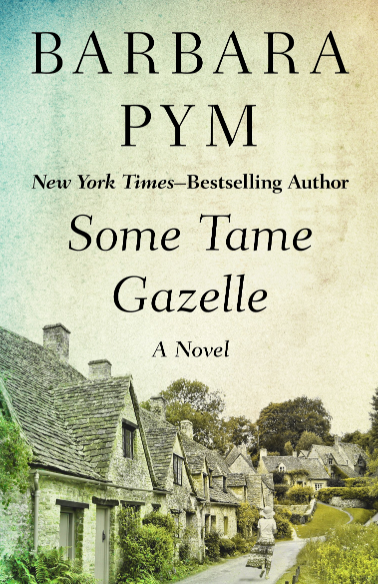 One could wonder whether he was living and working so excessively, as the novella wants us to believe, because he knew deep inside he was going to die young or whether his excesses led to his untimely death. 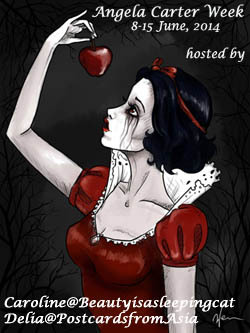 It’s a very visual novella, lovely and enchanting but profound as well. A beautiful review! You make it sound as if there is a kind of soft sadness in the story. Would love to read it! Thanks, Sigrun, soft sadness, is spot on, indeed. I was surprised at the beginning because the covers of the German book look all so cheerful but from the first sentences on there are both elemenst and when I saw the choice of cover from One World Classics I thought that was incredibly well chosen, despite the fact that the sun is shining in the story. I hope you will like it should you read it. I was just about to say the same thing as Sigrun. It sounds a bit sad. It must be fun reading about famous people from the past. Does it say anything about the music? It happens to me all the time that I’m logged it from the “wrong” blog. Btw you need to check my movie blog tomorrow. I am asking people to vote a movie for a watchalong in December. It is sad, yes but in a beautiful way. It does say afew things about the music but more about how he composed it. He died at 35 and has left hundreds of compositions, including operas and symphonies. I think his complete work is on 150CDs. No wonder he never stopped, hardly slept. It’s quite fascinating. I know…He is an amazing musician!! I will 🙂 I always check your Movie blog through RSSfeed,if the title sounds interesting…I always read it. This sounds so interesting! I’m curious about Mozart and would so much rather read a beautiful gem of a novella than a huge chunkster of a biography! I must look out for this book. I’m sure you will find it online. It’s a wonderful novella and I thought it captured Mozart quite well. The story is fictitious but he tried to put into words the man and his music. In a short book we learn a lot about they way he worked, his relationship with his wife (priceless by the way). It’s wonderfully well written, I liked it a lot. One to re-read as well. I’ve chosen this as one of my choices in this week’s giveaway on Lizzie’s blog – now I’m hoping more than ever that I’ll win it! It’s an excellent choice, well written, a bit funy but thoughtful. Reading the descriptions is like looking at a painting. I have this but a different edition. Have you seen the film Mozart’s Sister? It’s not here yet. No, I have not. I’ll have a look. I suppose your edition is one of those “sunny” ones. Most of them are, or one with Mozart as a silhouette on the front. Sounds great. Are there a lot of references to his music? Not just names but analysis? No, not at all, it also mostly mentiones Don Giovanni and his way of working in general. I liked it far better than I thought I would. I always thought it was kind of fluffy, it’s not really. Just wonder if a French translation does it justice? Bit shocked by what they did to the Roth, to be honest. Great, I know nothing about classical music, I’d get lost. It’s available in French in a bilingual edition. (Folio, I think.) Strange. This one is available in such edition but not Effi Briest. I’m not a specialist but doesn’t German translate better in English than in French? Yes and no. Regarding the vocabulary I’d say it’s easier but I’m not so sure when it comes to the structure of the sentences. I realized with the debate on the Kleist stories that it’s misleading to assume that the English translation is close to the original German. But Mörike is no Kleist, the structure of the sentences is different and I found it felt French, not only because Mme de Sévigné is mentioned. It’s a short book, maybe Effi Briest is a bit too long for a bilingual edition. I’d often like it, even with languages of which I know just a mere fraction like Russian. But then imagine a bilingual edition of War and Peace… I’m planning on reading it btw but can’t make up my mind in which language to read it. There are new German translations available and for some reason I have a feeling Russian is closer to German than to Engish but I could be very wrong. When I compare my parent’s Dostojewski editions (German and French) I get the feeling they are not the same books. Beautiful review, Caroline! I read ‘Mozart’s Journey to Prague’ sometime back and loved it. The premise was what attracted me to the novel – Mozart stealing an orange and being caught in the act. I loved your observation – “Reading this novella felt at times like watching a painter paint a very colorful painting, drawing flowers and trees, a sunny blue sky but in the upper left corner of the painting we can see a dark cloud slowly starting to spread.” – so beautifully put. One can only imagine what legacy Mozart would have left behind if he had lived longer. Or maybe stars that shine bright burn fast. Thank you Vishy for the nice words. I was amazed when I read it, I had expected it to be only cheerful. The premise of him stealing an ornage and what the little tree menat was quite nice, I liked the idea. I liked the moment when they are in the woods as well. Their realtionship is very special, they seemed to have been very close friends. From all ever read or herad about him, he seesm to have been constantly afraid to not be able to finish his work. It’s incredible what he achieved. How would his later work have been, I wonder. Another great review, Caroline. Mozart is a favorite of mine too, and I’m fascinated by genius. I wish Gutenberg had it in French–my German is no longer good. Will probably upload on the Kindle, though. Thanks, Carole, I’m sure you would like this. Mozart is an amazing composer, only think of how early he started? It should exist online in English, I suppose. I hope you can find it. French would suit it well though. I could use something sunny and cheerful–I am adding this to my wishlist. I was living in Austria at the time of Mozart’s bicentennial and recall seeing a huge exhibition about his life. Now I will have to go through my scrapbooks/albums and see if I kept the brochure. I’d love to read more about him. I was in Prague in the villa in which he stayed. They turned it into a museum and give concerts there. It was quite lovely. I’m sure that was a great exhibition. I think I have a Mozart biography somehwre but never got to it. This novella put me in the mood to listen to his music and read about him.